The Midwest Food Products Association, Inc. is a trade association that advocates on behalf of food processing companies and affiliated industries in Illinois, Minnesota, and Wisconsin. Established in 1905 as the Wisconsin Canners Association, today the association represents a more diverse group of food processors on a variety of food issues. 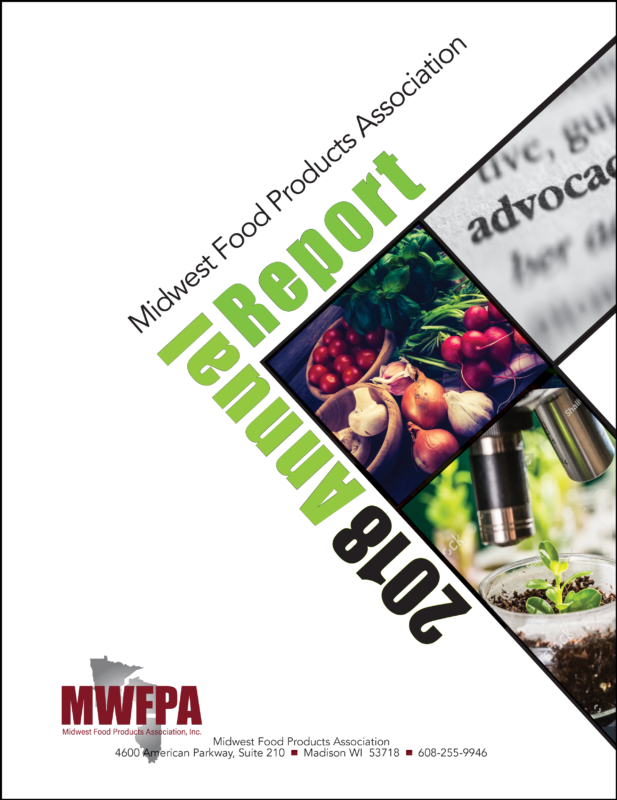 The primary role of MWFPA is to influence public policy and make the Midwest a great place for food processors to do business. The association’s activities can be summarized in four words; advocate, educate, communicate, and facilitate. Go to Association Profile for more information. To enhance and promote the business interests of the Midwest food products industry, to be the foremost recognizable legislative voice in the three-state area espousing the objectives and concerns of the food/vegetable processing industry, involve members in association activities and promote activities which assure the safety, quality, and nutrition of our member’s products.